The Smihs Original Promo Poster from the single "How Soon is now?" later included inThe US release of Meat is Murder. 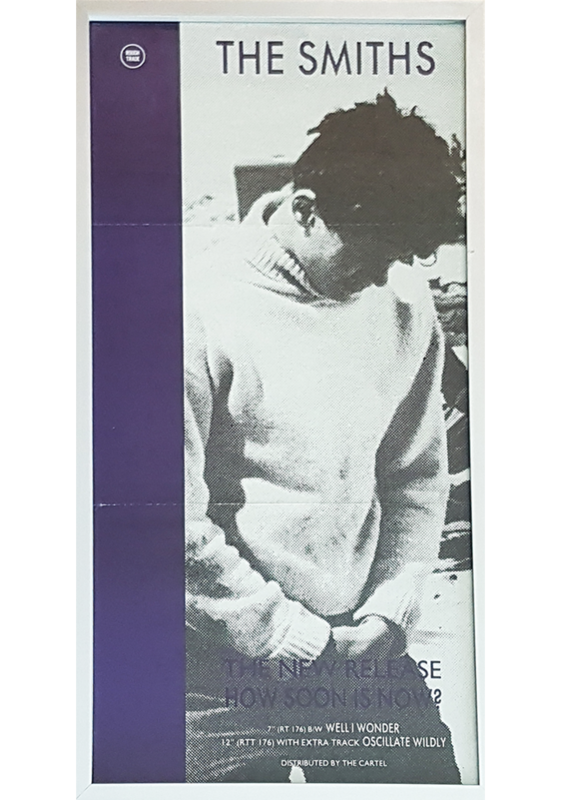 NOTE: This is the Original first printing of the poster with the misprinting which soon after was cut for main record Shops distribution. 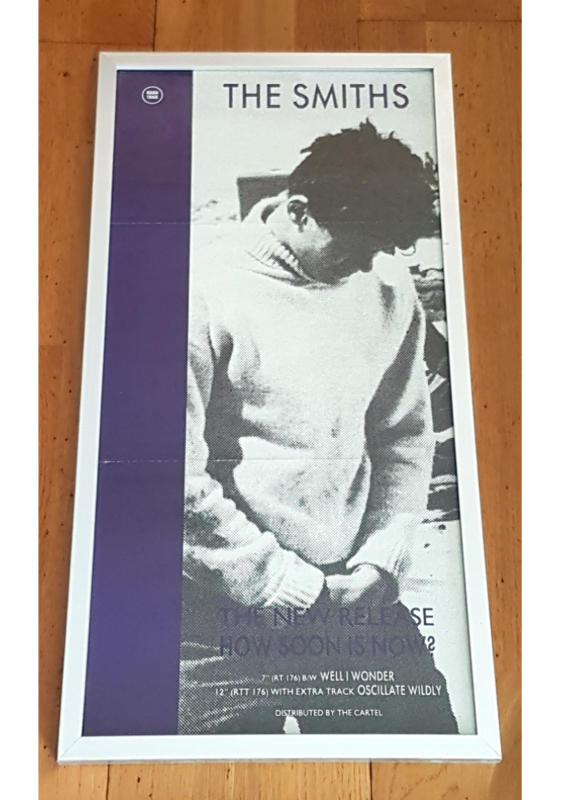 One of The Smiths rarest poster. Click on the image to look at it closely in order to see all the details. That poster has been bought to a trusted dealer that confirms its autenticity.